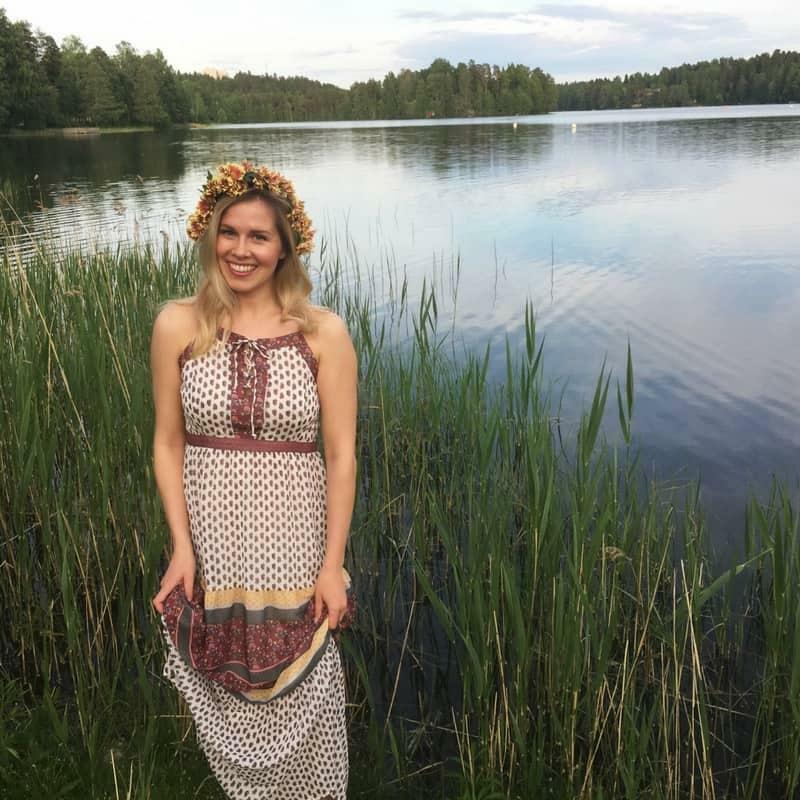 How to Experience Midsummer Eve Magic in Finland! In Finland, Midsummer Eve (in Finnish: juhannus) is the second biggest celebration, just after Christmas. This ancient carousal takes place in the second last weekend of June. It was initially held to honor Ukko, the king of the gods in the Finnish mythology. Ukko (just like Zeus and Jupiter) was the god of thunder and rain. If people got his spirits up by celebrating, it meant a good harvest. Nowadays, I think Midsummer celebrates summer and the longest days of the year. During Midsummer week, Finns enjoy the longest daylight hours. Naturally, in Lapland, the sun doesn’t go down at all. Gloomy Finnish people say that after Midsummer, the summer is over, referring to the shortening daytime. Technically complete correct but an utterly depressing statement as the summer weather and the holiday season just starts after Midsummer. READ MORE: How Finns spend their Summer holiday! On Midsummer Eve, everybody tries to escape from city to summer cottage. Eating and drinking well, burning a bonfire and enjoying sauna are a must. Hands down the most exceptional thing about Midsummer is the magic. It is the only time in a Finnish year when you can do spells, even as an adult, and nobody looks you like you are a weirdo (which you are, of course, but that is a different story). Midsummer, you see, is all about love. And not just love in general but finding your True Love and future spouse. If you hear a cuckoo at night, the number of cuckoos you hear is the equivalent of the number of years it takes for you to find your future husband. If you don’t hear a cuckoo at all, it means he arrives this year. When you pick seven different flowers and put them under your pillow, you will see your future husband in your dreams. When you go naked to the beach or the well and gaze at your reflection, you will see your future husband appearing. You can see your future spouse when you swim to a lake rock, sit there and wait for him to show up to the shore. What a time to be a man in Finland! The majority of love spells involve naked women in public places: fields, beaches, and yards. It makes me laugh to think about what a joint effort it must have been back in the day for Finnish men to make this party a tradition. And they succeeded! I love getting to know more about Finland. Thanks for your blog. It is a treat. Your English (by the way) is VERY GOOD. The Finnish crepes recipe is great. Paljon Kittos! !